I've always had a soft spot for Chinese takeout, but ever since we started following a Whole30/Paleo diet, we have limited our intake to very infrequent occasions. It would always taste great in the moment, but later on we would feel sick to our stomach and wonder why we ordered it to begin with. 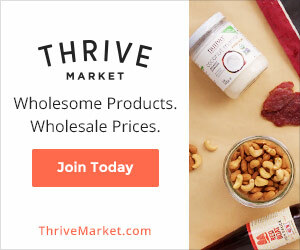 This recipe, however, is equally delicious and leaves you feeling great and ready to continue on your health journey with no interruptions, no tummyaches, and no guilt. The last couple of weeks I've been experimenting with using Coconut Aminos to create a clean, guilt free sauce I could use for quick stir fry dinners. 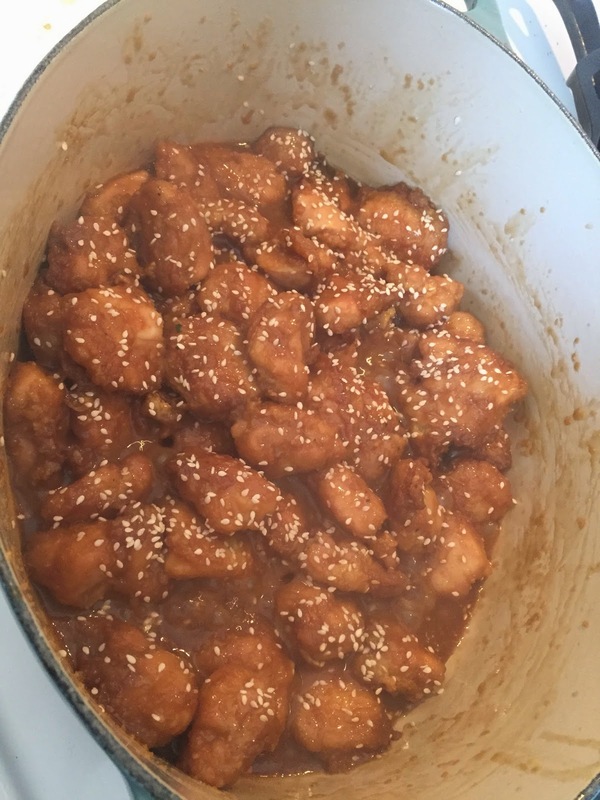 The taste reminded me of Chinese takeout so I started to research how to make "Chinese Style Chicken" recipes like sweet and sour, orange, and sesame chicken. 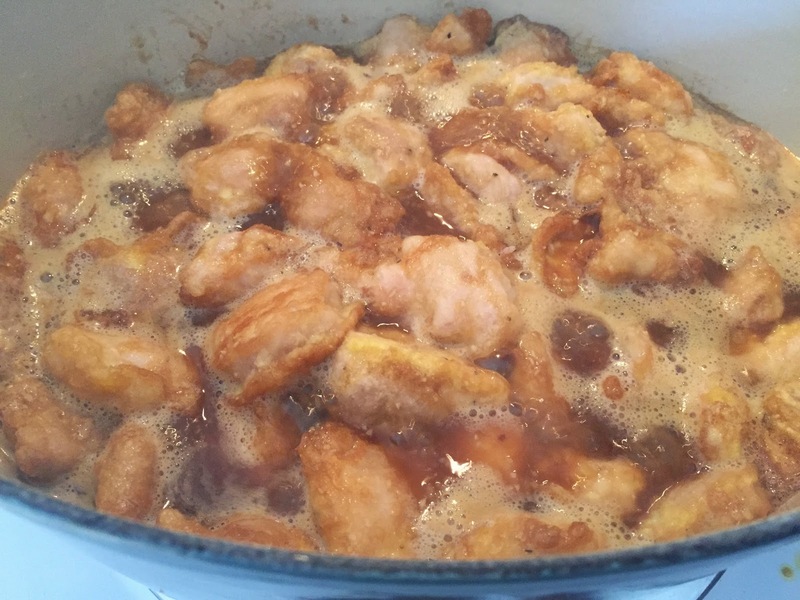 I took a little bit from a couple of different recipes and landed with this deliciously clean, Paleo, and Whole30* approved version of what reminds me of Sesame Chicken. *If you have a serious obsession with Chinese takeout, this could be considered "swypo", as per the Whole30 guidelines. To me, it's just a healthier version of a popular dish and I would have no problem eating it during a Whole30 along side plenty of veggies or over some salad greens. Your call though. 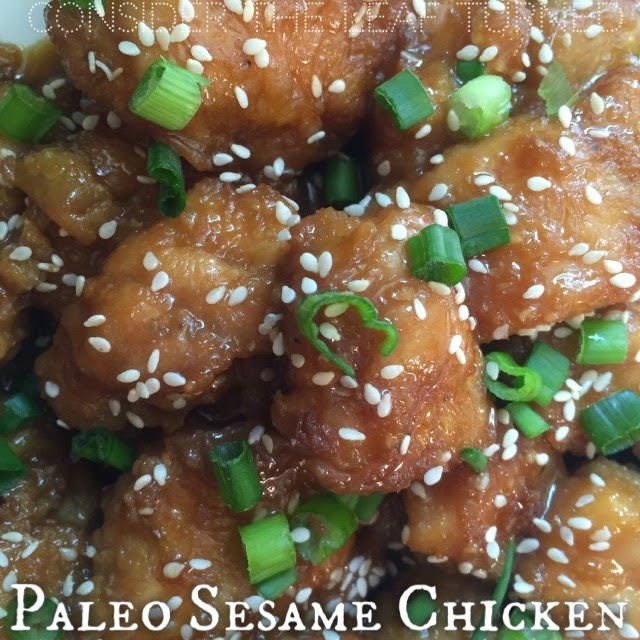 Paleo Sesame Chicken Recipe - Step by Step! 1. 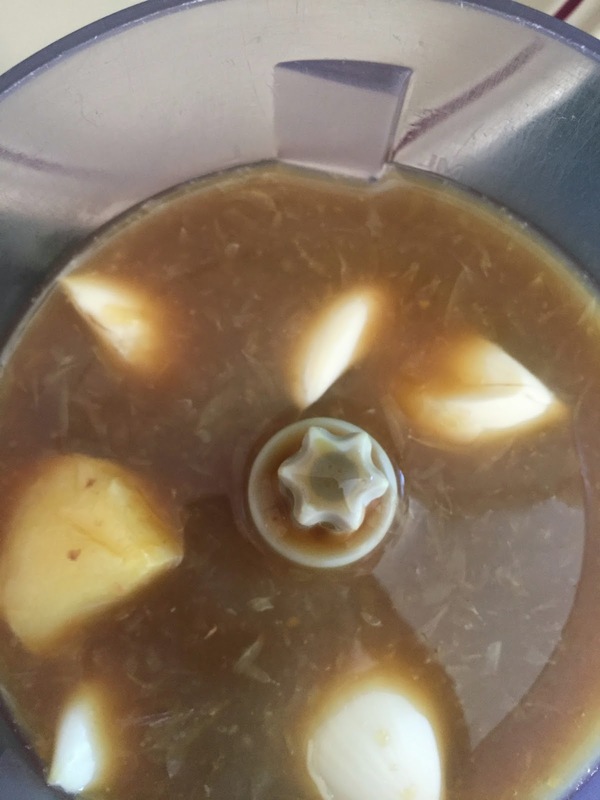 Make your sauce: in a food processor or blender, combine coconut aminos (soy sauce substitute), orange juice, fresh garlic, and fresh ginger. Set aside. 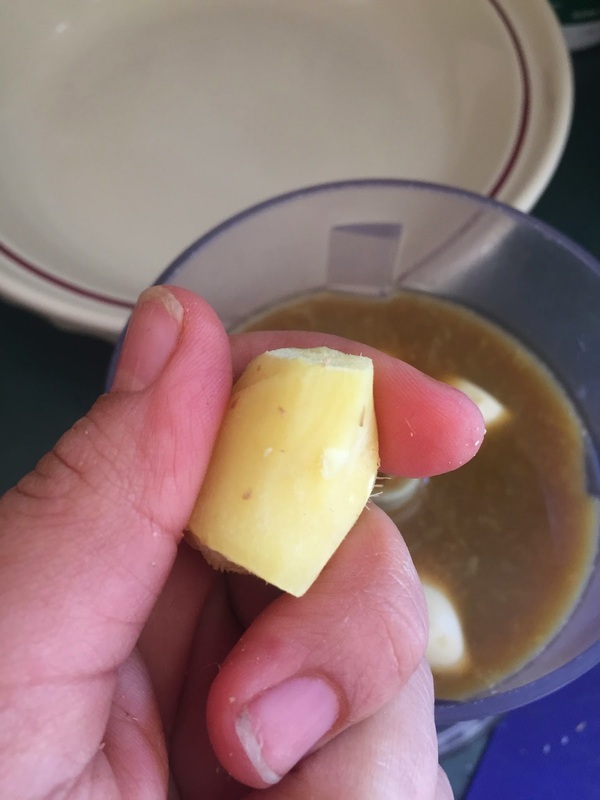 Use a piece of fresh, peeled piece of ginger the size of about your thumb or 1 inch. Coconut Aminos, garlic, ginger, and orange juice about to be blended up! 2. 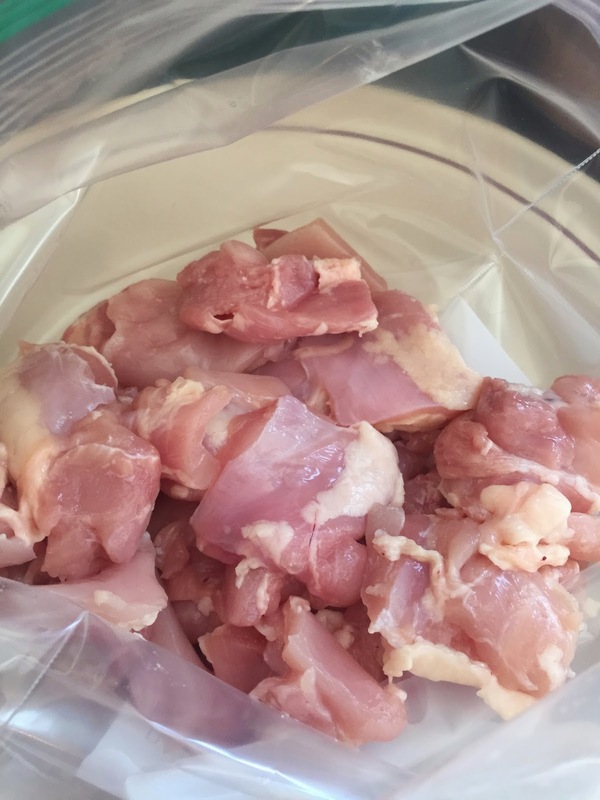 Prep Chicken: cut about 2 lbs of boneless, skinless chicken thighs into bite sized pieces and place into a large ziploc bag. I was able to cut each chicken thigh into about 6 pieces. I know, raw chicken isn't pretty, but you get the idea. 3. 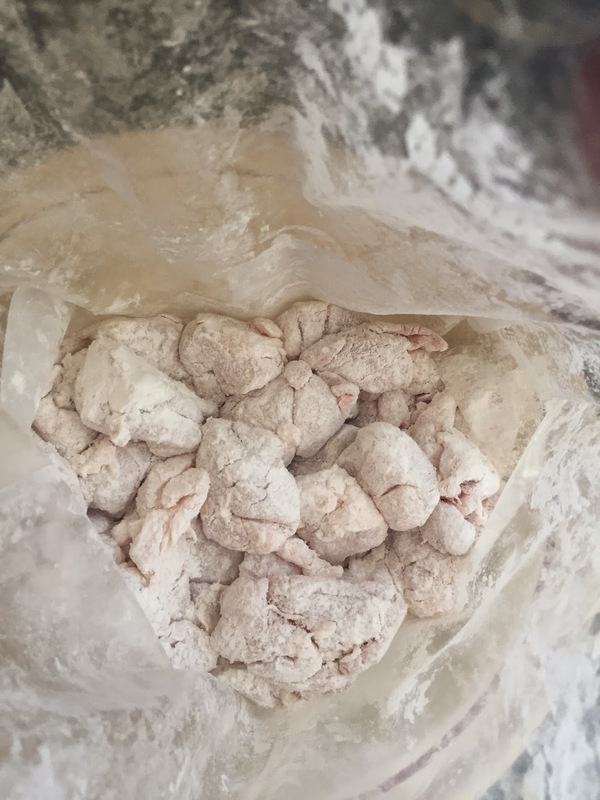 Coat chicken: Add 1/2 cup of arrowroot flour/starch to the chicken pieces, zip up the bag, and shake what your mama gave ya until all pieces are well coated. This is the kind of arrowroot flour I buy - it's relatively inexpensive compared to other flour substitutes and works perfectly for this recipe. 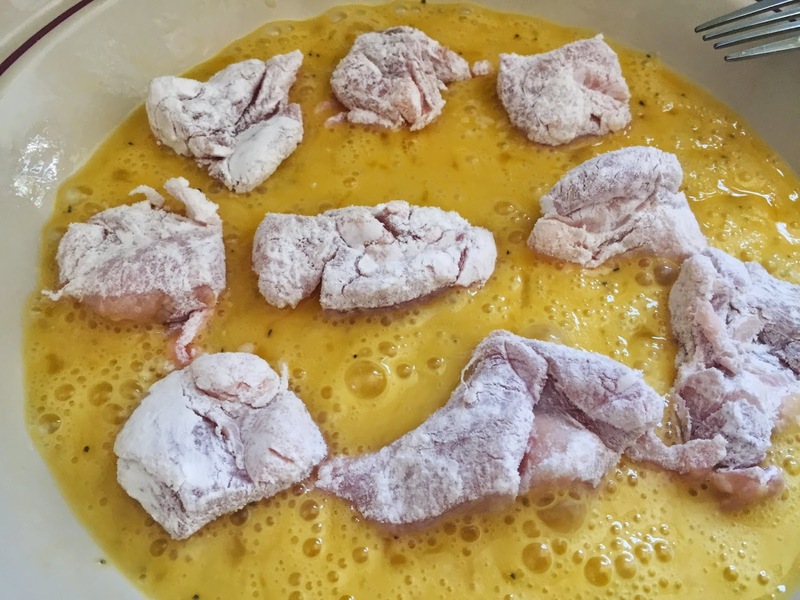 This is what your chicken pieces should look like after a good shake with the arrowroot flour. 4. Heat up a bit of avocado oil (or other healthy oil of your choice) over medium to medium high heat in a large heavy pan. You want the oil pretty hot, but not burning. 5. Egg bath: While the oil is heating, in a shallow dish, beat 3 large eggs and toss the chicken pieces, in batches, to coat on all sides. Once each batch is coated with the egg, you'll want to proceed to step 6 and then back again to step 5 for each batch. Coat each chicken piece in the egg on all sides, working in batches, and proceeding to the next step. 6. Once the oil is hot, fry each chicken piece until golden brown on each side, about 30 seconds a side. You are not trying to fully cook the chicken, just create a nice crust. Work in batches and repeat Step 5 & 6 until all pieces are fried. You're looking for that nice golden brown, crispy but chewy crust. Transfer each batch to a plate and continue to repeat steps 5 and 6 until all pieces are fried. 7. Clean your pan: I'm a big fan of limiting the number of pans to wash, so I recommend you carefully wipe out the pan you were working in so that you can use the same pan for the rest of the recipe. 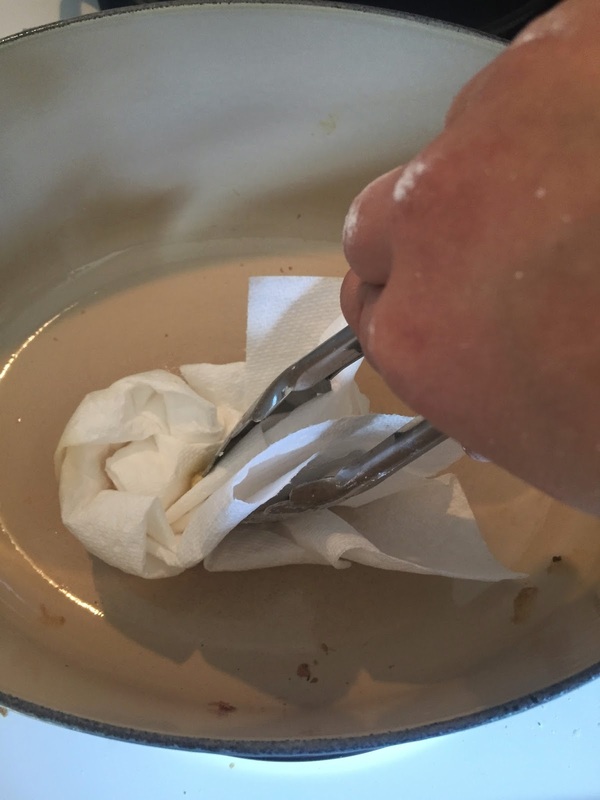 I use a pair of tongs and some paper towels to wipe out any excess oil left in the pan. 8. Combine everything: Over medium heat, pour in the sauce we created in Step 1. Let it come to a simmer and then nestle all of the fried chicken pieces back into the pan. Fried chicken pieces simmering in the sauce. 9. Simmer and watch sauce reduce: Simmer chicken, uncovered, over medium heat for about 20 minutes, stirring occasionally, until chicken is cooked through and sauce has reduced to the nice thick sauce you would expect from Chinese takeout. Then, liberally sprinkle sesame seeds over cooked chicken. Here the chicken is completely cooked through and the sauce has reduced to a nice thick sauce. I then sprinkled the sesame seeds all over. 10. Spoon your Paleo Sesame Chicken into a bowl with roasted vegetables or on top of a salad for a complete meal. Garnish with fresh scallions and enjoy! 3. 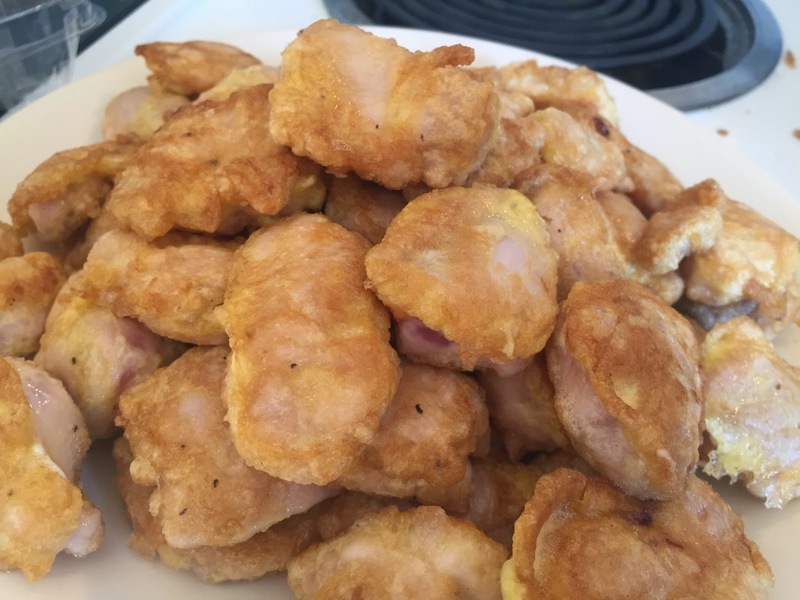 Coat chicken: Add 1/2 cup of arrowroot flour/starch to the chicken pieces, zip up the bag, and shake what your mama gave ya, until all pieces are well coated. 5. Egg bath: While the oil is heating, in a shallow dish beat 3 large eggs and toss the chicken pieces, in batches, to coat on all sides. Once each batch is coated with the egg, you'll want to proceed to step 6 and then back again to step 5 for each batch. 8. Combine everything: Over medium heat, pour in the sauce we created in Step 1 into the cleaned out pan. Let it come to a simmer and then nestle all of the fried chicken pieces back into the pan. 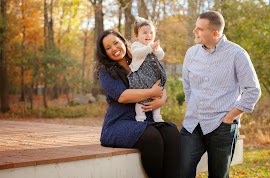 I'm passionate about fueling my body and my family with real, nutrient-dense foods. Follow our journey for healthy meal ideas for kids and adults alike. Yum! Going grocery shopping today and hopefully making this for dinner tonight! Where did you find sesame seeds? With other Asian foods I assume? I've never looked for them. Yay! Please let me know how it turns out for you! I think I found the sesame seeds with the rest of the herbs and spices. I bought them a long time ago so I don't fully remember. A small jar goes a long way! Holy salty Batman! I used less than 3/4 cup aminos and it was still way too salty. My son who will eat anything didn't eat it after 3 bites. The method worked well but the sauce wasn't great. I think if you did more OJ vs aminos it might work. Sorry I hate leaving negative comments but this did not turn out well and was pretty labor intensive. Hi Kim! Sorry you had that experience. What brand of coconut aminos did you use? I've never received that feedback before so I'm curious if other brands may be saltier than the one I use. Is it okay to substitute coconut flour or almond flour for arrowroot flour? Hello! Coconut Flour and Almond flour have different properties that I don't think would work for this recipe. A better substitute would be tapioca flour/starch, though I haven't tested that myself. Good luck! Just made this recipe exactly as you had it and it was amazing!!!! thank you so much! Going to start another whole 30 round in March and this will be in my weekly rotation!!!! Wonderful! So happy you enjoyed it. Good luck on your next round of Whole30! As I was making this I thought "I will never make this again, it is too labor intensive." But then I tasted it...WOW! Reallyi really delicious! I added some red pepper flakes to the sauce for a little extra zip and served it on roasted cauli rice. Labor intensive or not, I'll add this to my regular Paleo rotation. Awesome! So glad you found the dish worth the effort. It gets easier the more you make it. The red pepper flakes is a great addition! I have chicken breasts, is that OK or does it need to be thigh? Chicken breasts would work just fine! 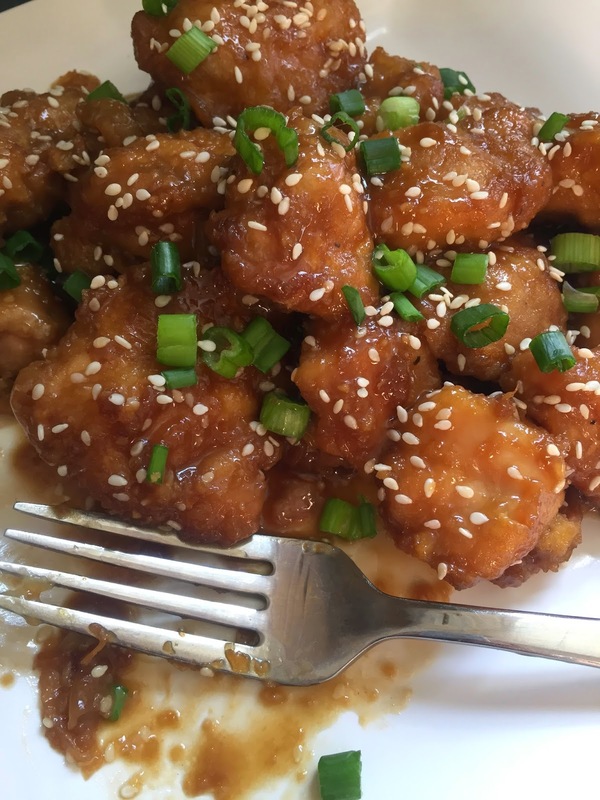 I am planning on my making this recipe tonight- I've been craving sesame chicken for the longest time! What brand of coconut Aminos do you use? I don't want it to come out too salty. Do you suggest to maybe use some honey in combination with the coconut Aminos? Thanks! Hi! Sorry for the delayed response. The brand I use is linked in the ingredient list - just click on the word "coconut aminos." It's the Coconut Secret brand. Hi Sara! How many servings is this? Thanks! Hi Sara! How long does this take to make? I also tried this and way too salty. I used Bragg brand. Not sure that might help the next person. Other than that, I thought it was good. Sorry you had that experience! Does Bragg make a "coconut" aminos? I know I've seen Bragg "liquid" aminos which is derived from soy and likely to be saltier than what I recommend. The coconut aminos that I used to create this recipe is linked in the ingredient list. Hope that helps! Thank you for sharing! The Paleo diet weight loss weight loss is definitely a huge lifestyle change from what I've experienced growing up. Using this plan has given me great feedback. somehow, I can't find how to print this recipe so that it's not 6 pages. Do you have it formatted for printing? thanks. I'm sorry - I currently don't! I do give the concise directions at the end of the post, so maybe you can figure out how to print just that page that the summary shows up on. Or you can copy and paste into a Word document. Very easy and delicious recipe. Recently I will meat online and quality is very good. I'm trying to keep my carbs as low as possible (without feeling like I'm dying from cravings ha) so this is perfect. But to make it even better, do you think I could skip or half the amount of orange juice? 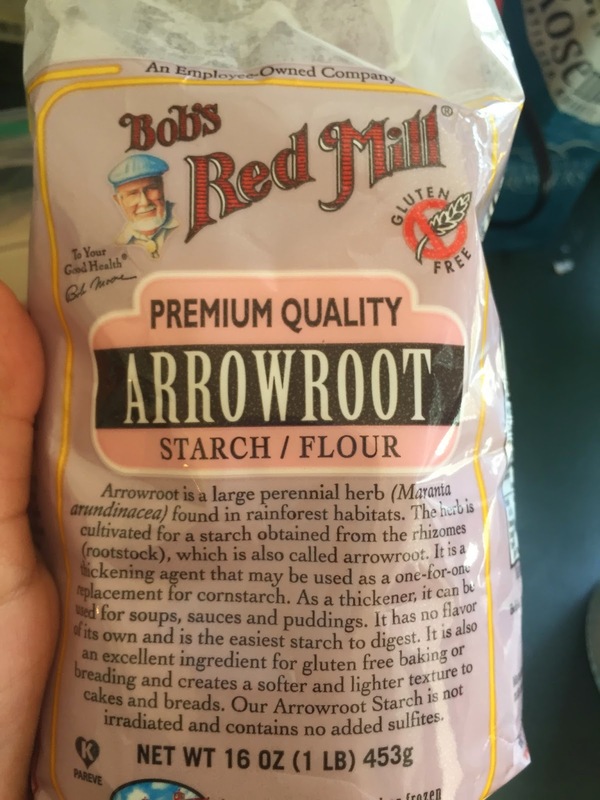 Can you replace arrowroot flour for the almond flour?? Loved it - is used a mix of olive oil and sesame oil to fry the chicken. I also just threw the egg in the bag with the flour coated chicken to save a bowl. Oh and I cut the oj is half - it is just like a Chinese restaurant! Great tips! I really love the paleo diet. Over the past year, I've actually I've made a lot of progress in changing my eating habits. The most important thing that's helped me get to where I am today healthwise is having access to quality paleo diet cookbooks. The recipes are amazing and there's plenty of tips to help you jumpstart your diet. Waaww!! 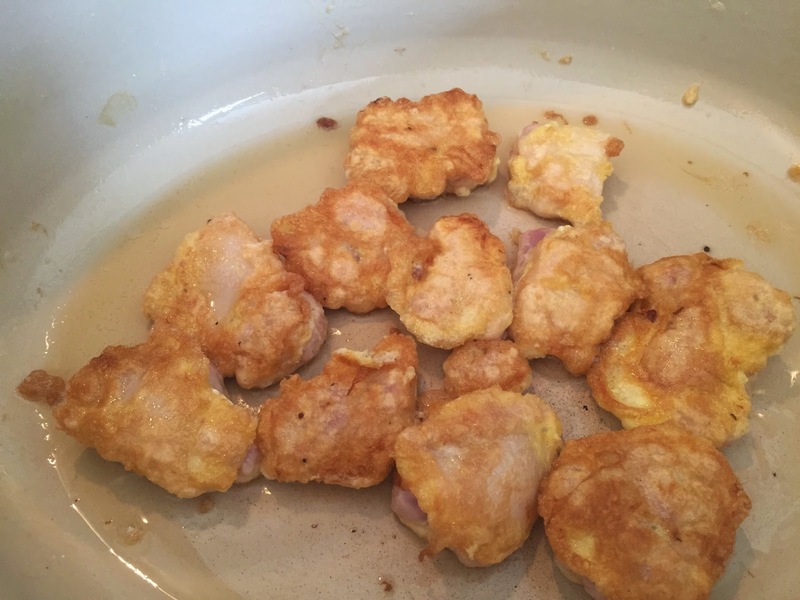 Thanks for sharing the useful blog on Paleo Sesame Chicken Recipe!! This recipe tastes wonderful but it is very labor intensive. Do you think one could skip the "breading" and just pan fry the chicken and simmer in the sauce? This was SOO good and worth all that work! Ours did not come out as crispy as I would have liked, however, the flavor and texture otherwise is on point.